Scent: Fresh, herbaceous, slightly woody evergreen aroma. Action: Improves circulation and supports the nerves and intestines. Astringent, antiseptic, antispasmodic, deodorant, diuretic, hemostatic, hepatic, styptic, sudorific, vasoconstrictor, respiratory tonic and sedative, anti-infectious, antibacterial, antimicrobial, and strengthens blood capillaries. It also acts as an insect repellent. Benefits, Indications: Arthritis, bronchitis, circulation, cramps, hemorrhoids, insomnia, intestinal parasites, menopausal problems, menstrual pain, pancreas insufficiencies, pulmonary infections, rheumatism, spasms, tuberculosis, throat problems, varicose veins, fluid retention. More Info: May be helpful for some cancers. May be beneficial for asthma, strengthening blood capillary walls, reducing cellulite, supporting the circulatory system and strengthening connective tissue. It may help with coughs, edema, improving energy, gallbladder ailments, bleeding gums, hemorrhaging, laryngitis, liver disorders, muscular cramps, nervous tension, nose bleeds, ovarian cysts. It is outstanding when used in skin care, lessening scar tissue. Cypress oil has a calming and soothing effect on the irritable, angry and stressed-out person and has a valuable effect as a vasoconstrictor on varicose veins and hemorrhoids. It is beneficial in conditions of excess fluid, such as bleeding, nosebleeds, heavy menstruation, heavy perspiration, cough and bronchitis, hemorrhages and fluid retention. The antispasmodic action is very useful for asthma, whooping cough, bronchitis, emphysema and influenza. Furthermore, cypress oil soothes muscular cramps, helps to regulate the menstrual cycle, helps to ease arthritis and rheumatic pain and it is also beneficial to oily as well as congested skin and wounds. Precautions: The oil is considered nontoxic, non-irritant and non-sensitizing, but it is best to avoid it during pregnancy. It is also best to do a skin patch test before using it in a massage blend. 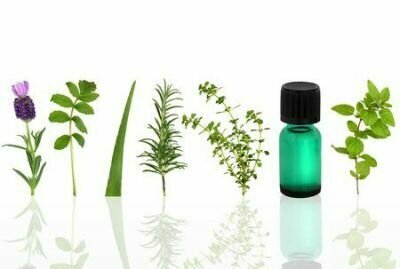 Chemical Composition and Antimicrobial Activities of Essential Oils of Some Coniferous Plants Cultivated in Egypt.